What are the best resale models for Jaguars? If you're a Jaguar nut you probably know the first model, the SS Jaguar 100, was released by SS Cars Ltd. From Blackpool, England in 1935. Starting with model year 2004 through 2008, here are the best resale values listed from Edmunds. Edmunds, a vehicle resource website, offers a True Cost to Own feature for each Jaguar model year. Also included in this article is a look at what Jaguar is offering in 2009 and 2010! The Question: What Are the Best Resale Models for Jaguar? The S-Type sedan came with a 3.0 Liter, V6 engine and a 4.2 Liter, V8 engine. Jaguar also offered an S-Type Sport Sedan with a 4.2 Liter, V8 engine. The X-Type sedan came with a 2.5 Liter, V6 engine and a 3.0 Liter V6 engine. Jaguar's XJ-Series came in the XJ8 with a 4.2 Liter V8 engine, the Vanden Plas with a 4.2 Liter, V8 engine, and the XJR, also with a 4.2 Liter V8 engine. 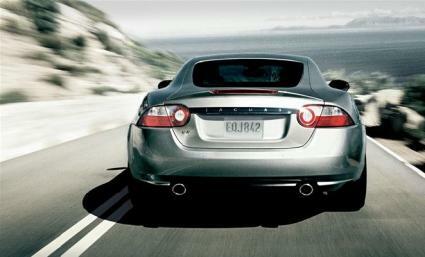 The XK Series came in both a coupe and a convertible with 4.2 Liter, V8 engines. In 2005, Jaguar offered the same S-Type models; however Jaguar also offered a Sports Wagon model in the X-Type. For the XJ-Series, along with the XJ8, Vanden Plus, and XJR, Jaguar introduced the Super 8 with a 4.2 Liter, V8 engine. Jaguar also offered the XK Series in both a coupe and a convertible. Again in 2006, the S-Type model series came in with the same engine sizes. For 2006, Jaguar offered the X-Type series in only the sedan and Sports Wagon, both with 3.0 Liter, V8 engines. The XJ-Series had the same models but also introduced the Super 8 Portfolio. XK-Series again came in both a convertible and a coupe for model year 2006. For 2007, the S-Type series offered the same models and engine sizes. The X-Type again offered the sedan and Sports Wagon. With the XJ-Series, gone was the Super 8 Portfolio. The other models remained the same for model year 2007. The XK Series again offered the coupe or convertible with similar engine sizes. For 2008 Jaguar stayed with the reliable models in their S-Types. The 2008 X-Type models were with the sedan and Sports Wagon. The XJ-Series remained the same for model year 2008. Lastly the XK stuck with the coupe and convertible models. The statistics above answer the question what are the best resale models for Jaguar for the past few years, but Jaguar has only introduced one model for 2010, the XF-Series. This model comes in the XF and the XF Premium both with 4.2 Liter, V8 engines, and the XFR with a 5.0 Liter, V8 engine. Prices range from $51,150 to $79,150. Whatever type of Jaguar you choose, read our Buying a Used Car Checklist first!